Since starting with Six Senses in early 2017, Gordon has helped oversee the doubling of the company as well as its sale to IHG. Gordon joined Six Senses with over 13 years of global hospitality experience in corporate capital markets, asset management, risk management as well as the development and implementation of operational and financial strategy. He started his career with Ernst & Young in London. He worked in the Treasury departments of UK FTSE companies Pearson (Media) and Hammerson (Real Estate) and he was the Group Treasurer and Corporate Finance Manager at Rocco Forte Hotels. Having joined KHI in Dubai in 2007, Gordon was appointed as Board Director and Chief Financial Officer in April 2009. 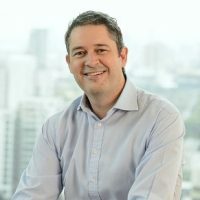 Following the company’s take-private in 2010 by Kingdom Holding Company, and in addition to his CFO role, Gordon was mandated with heading the Mergers and Acquisitions team responsible for managing KHI’s monetization and value realization strategy which included the sale of Fairmont Raffles to Accor as well as transacting on over 20 asset disposals. He had latterly also been a Board Member of the Savoy Hotel in London and Movenpick Hotels and Resorts. Gordon is a qualified Chartered Accountant with the Institute of Chartered Accountants for England and Wales. He holds a B.Sc. Hons in Economics and Accounting from University of Bristol and an AMCT professional qualification with the Association of Corporate Treasurers.